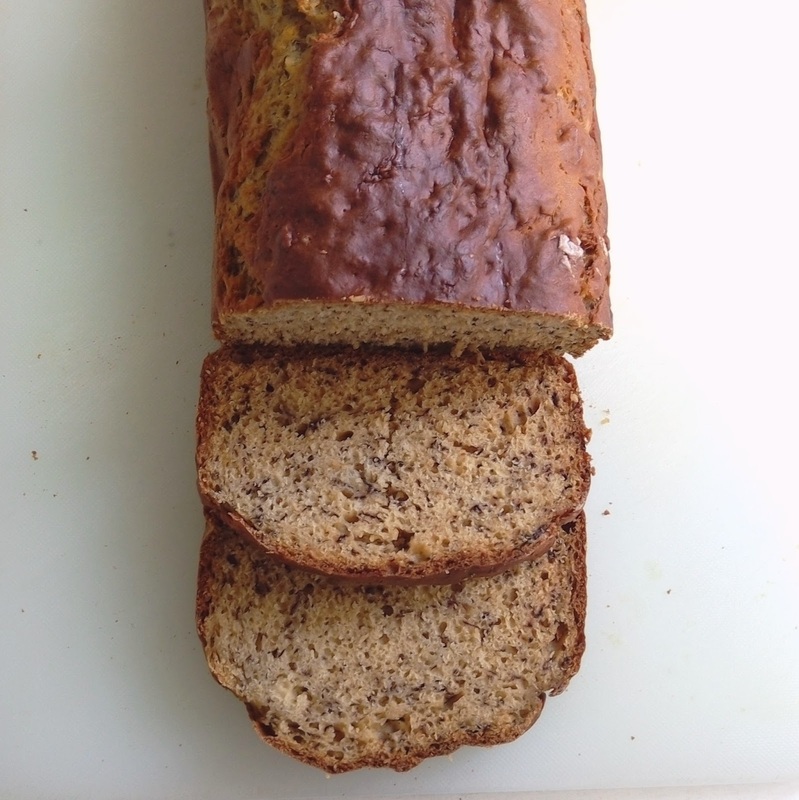 Banana bread that doesnt need any butter. Replaces butter with yoghurt. I had a whole heap of overipe bananas at home and instead of letting it go to waste I decided to make some banana bread. We haven’t had any in a long time and I think it was time for some. However, when I went to gather my ingredients, I found I was out off butter. I’d finished it last week making a cake and hadn’t had time to go out and get some. I didn’t feel like rushing out to the supermarket so I went online to see what else I could make. 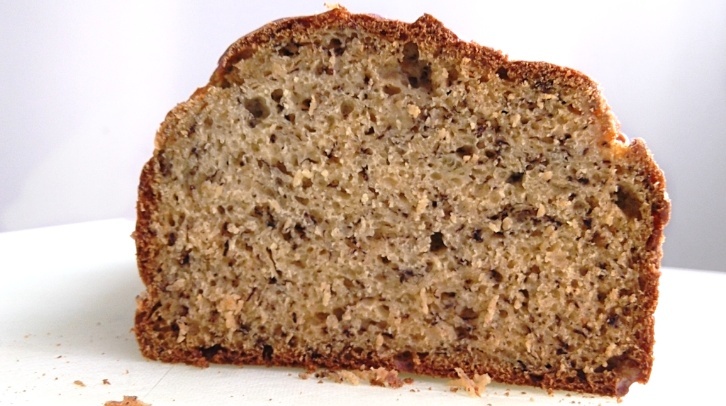 Lo and behold I came across a recipe for banana bread that uses yoghurt instead of butter. I did have yoghurt! So off I went to try out the recipe. 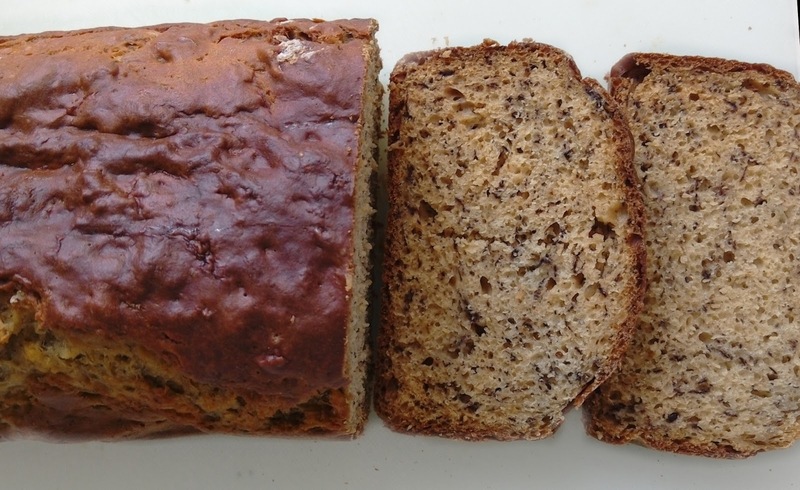 The recipe for Greek Yoghurt Banana bread, is from the Running With Spoons blog, also asks for maple syrup and brown sugar and said the brown sugar could be omitted for a less sweet banana bread. As I had no maple syrup on hand, I left that out and added the brown sugar instead. It was so simple to make and I had the bread in the oven in no time at all. I’m very happy with the recipe. The bread was moist and crumbly and it had a nice soft and chewy crust. I imagine it will be yummy toasted and eaten with butter, jam or honey. Guess what I am going to be having for breakfast tomorrow?